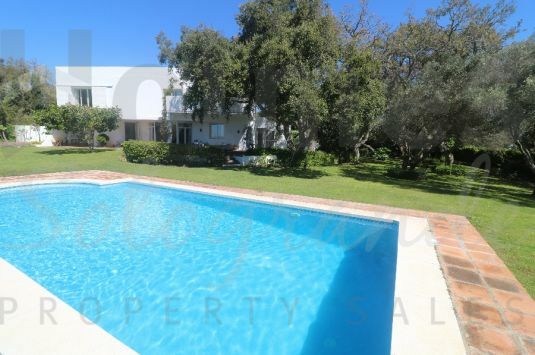 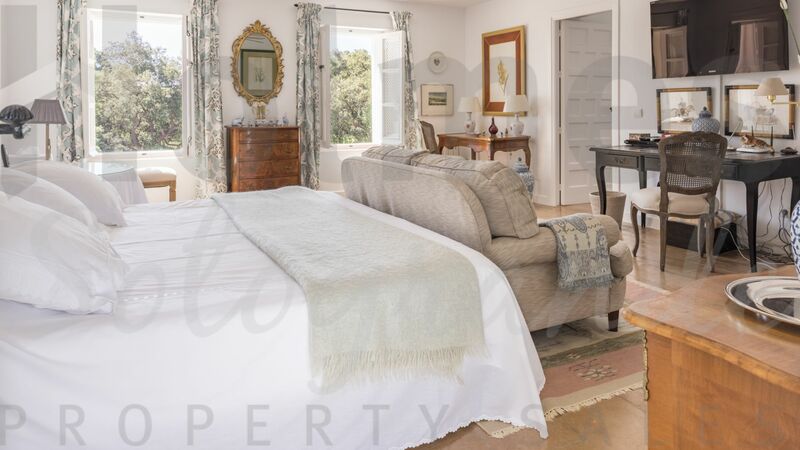 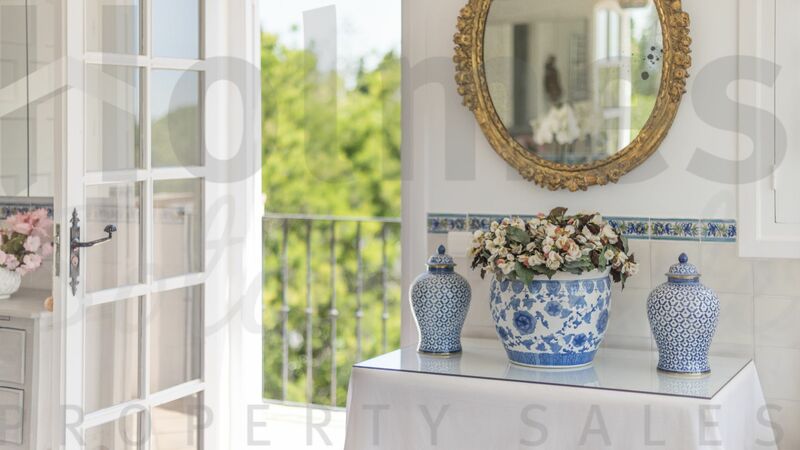 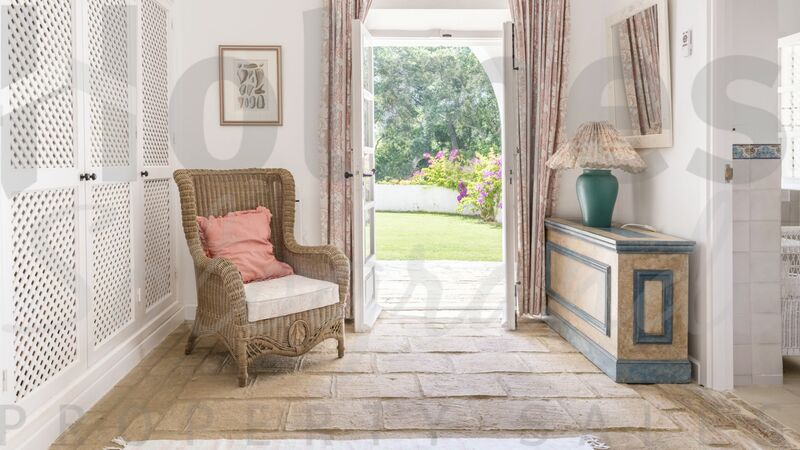 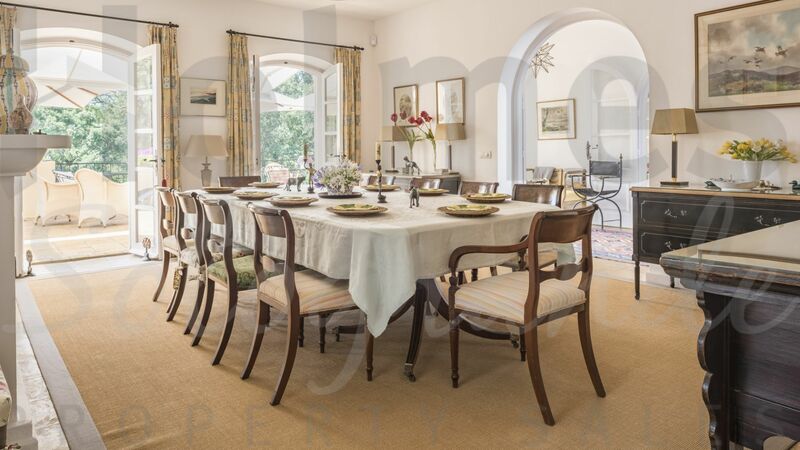 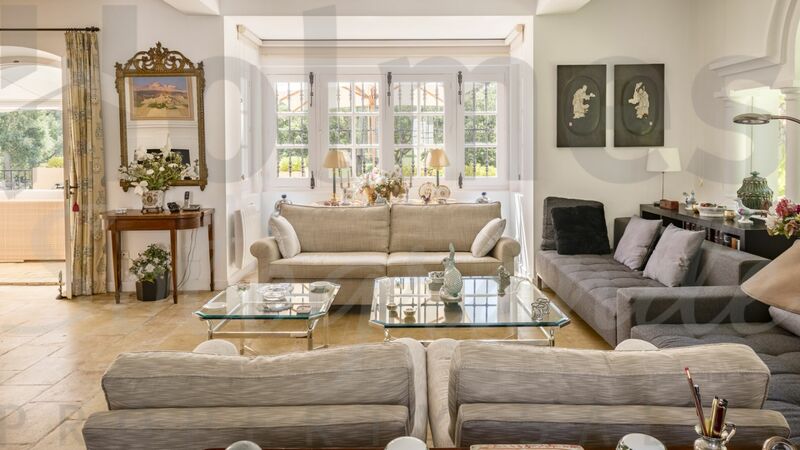 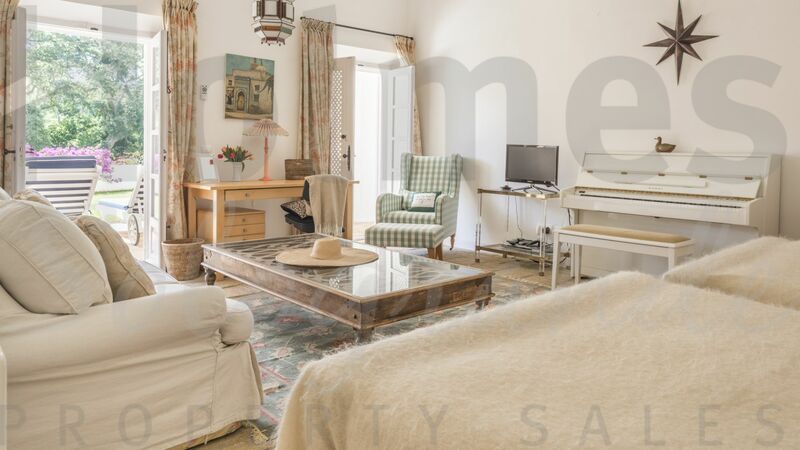 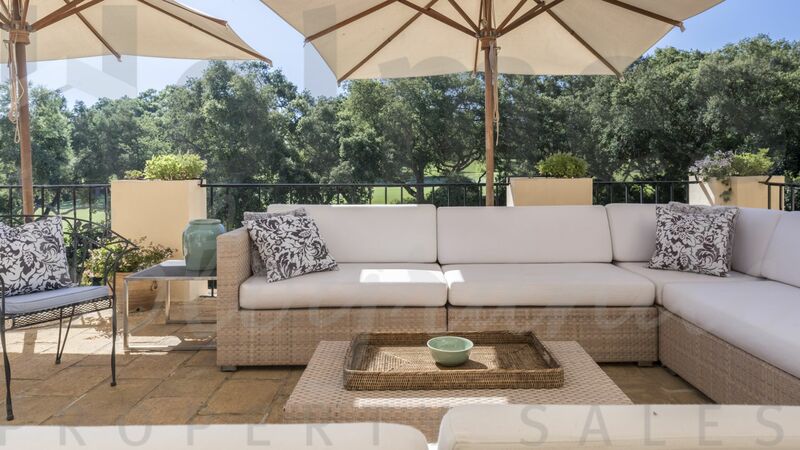 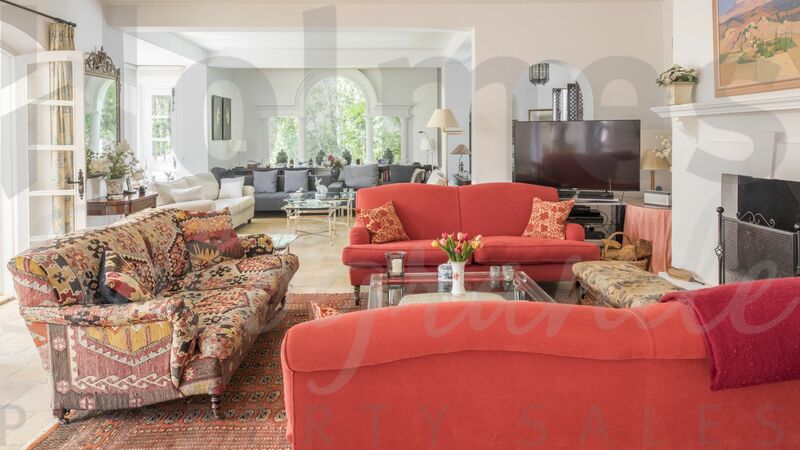 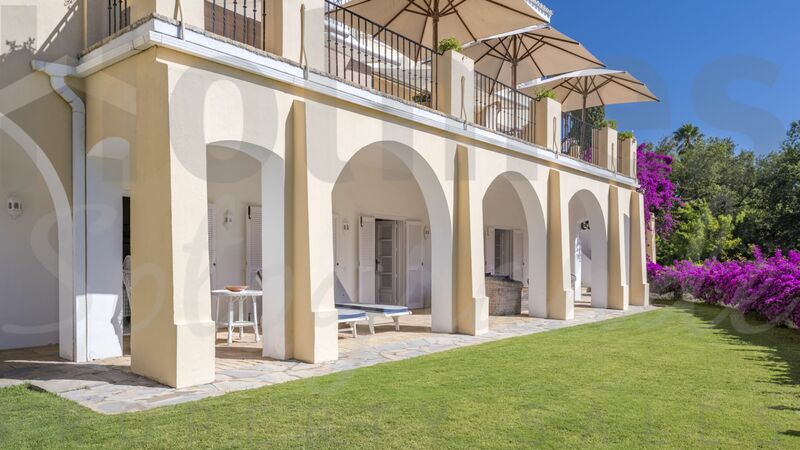 This magnificent 3 storey villa is set amongst cork trees in a quiet part of the south side of Sotogrande overlooking the 7th fairway of Sotogrande Royal golf course. 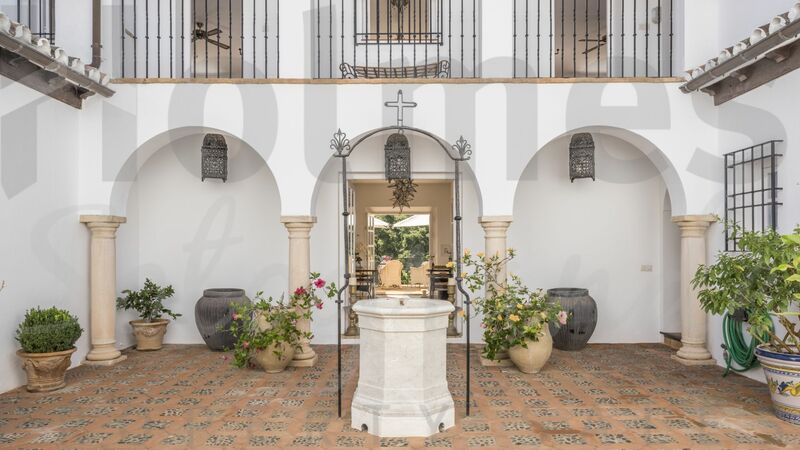 Entered through a courtyard, the inner hall leads to a large drawing and dining room both of which lead out to a large terrace, overlooking the garden and the 15m pool below. There are 337sq mts of covered and uncovered terraces. 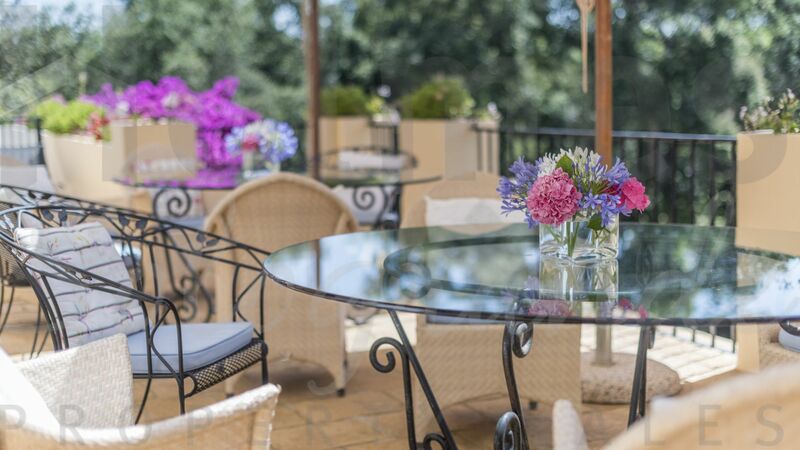 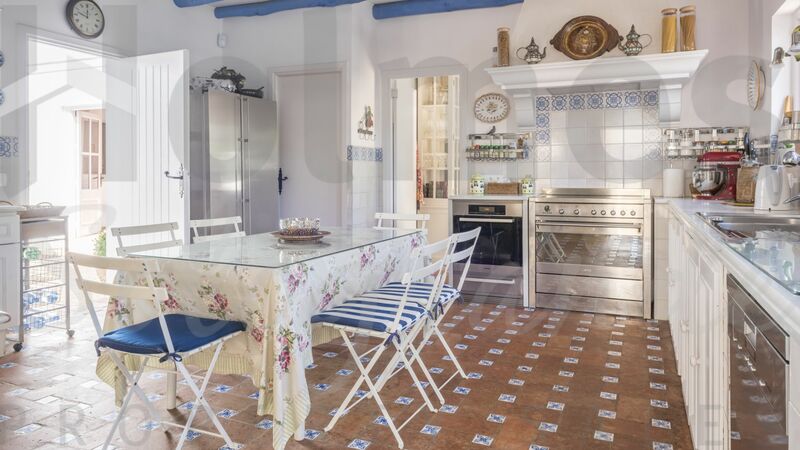 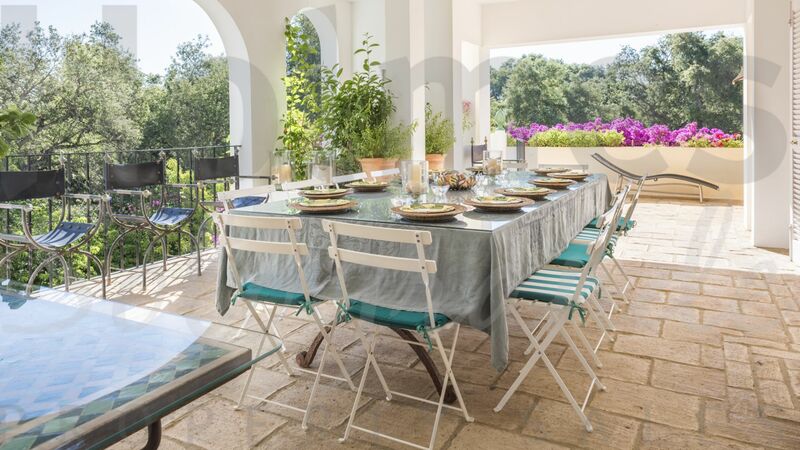 The fully equipped kitchen, with separate laundry area, is off the central courtyard and has access to both the dining room and outside covered dining area and the terrace. 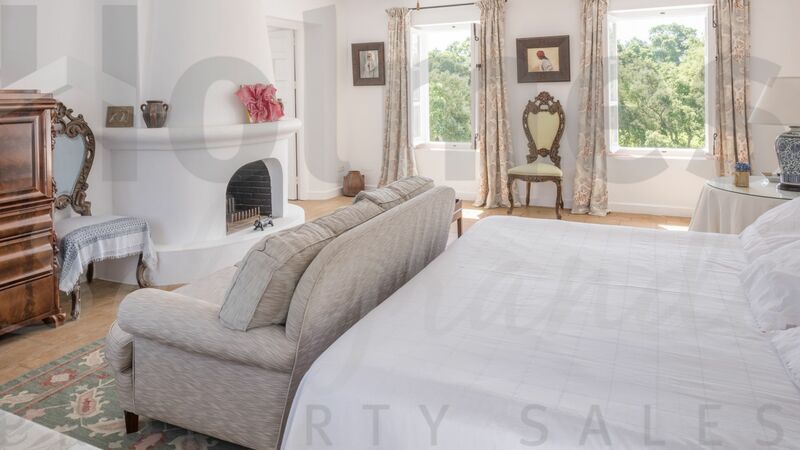 There are 7 bedrooms and bathrooms en suite. 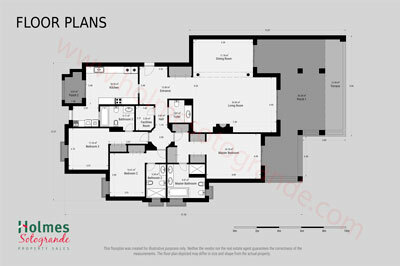 Two on ground level, two on the first floor and three at garden level. 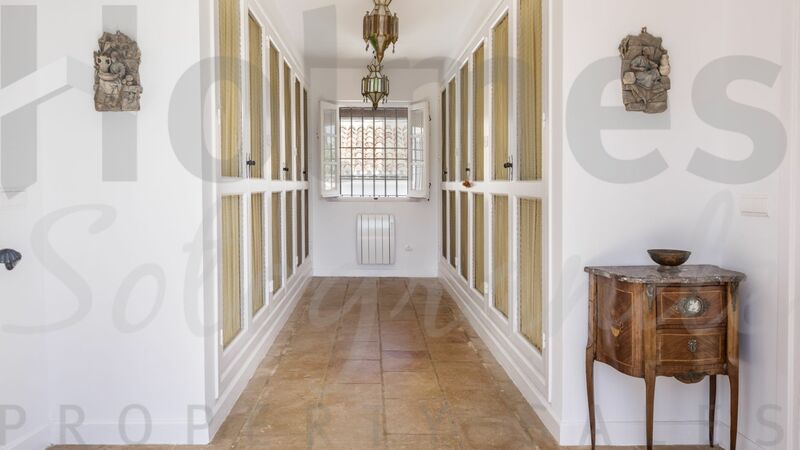 They are all spacious and well decorated. 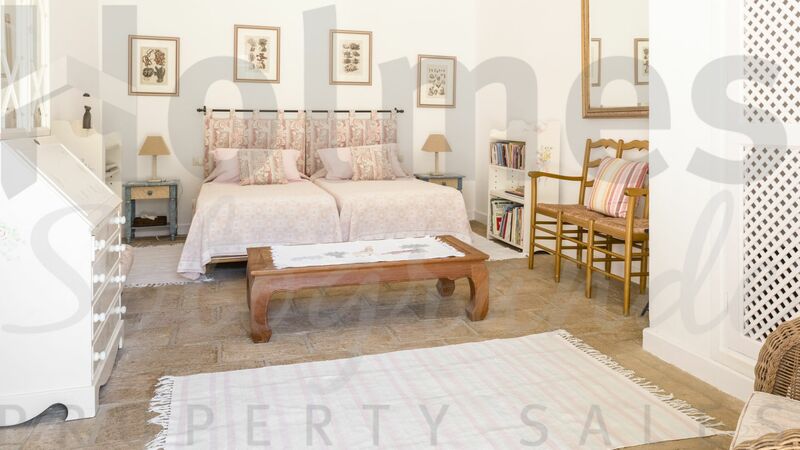 The drawing room, two bedrooms on the first floor and one on ground level have air conditioning. 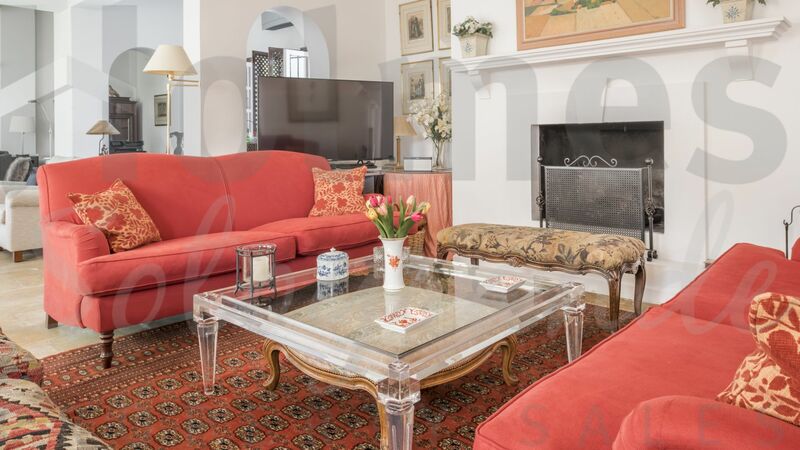 The house has digital tv, fiber optic cable, security system and garage. 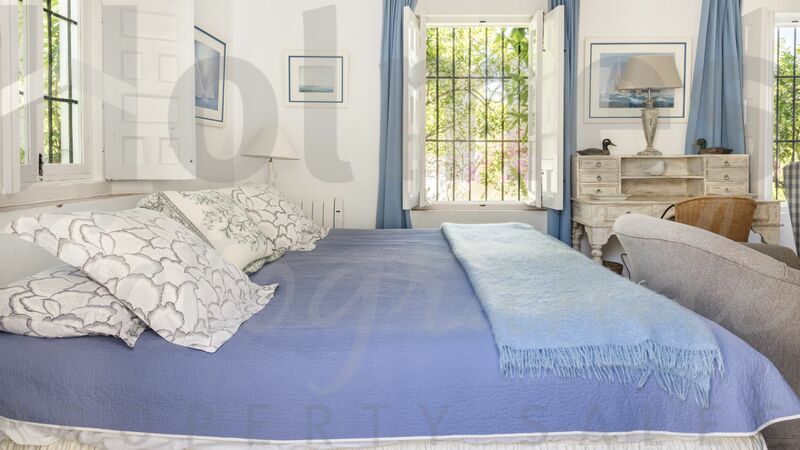 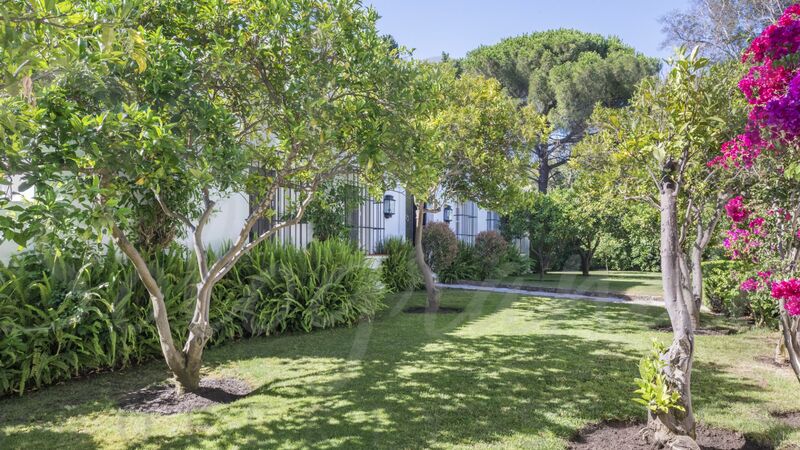 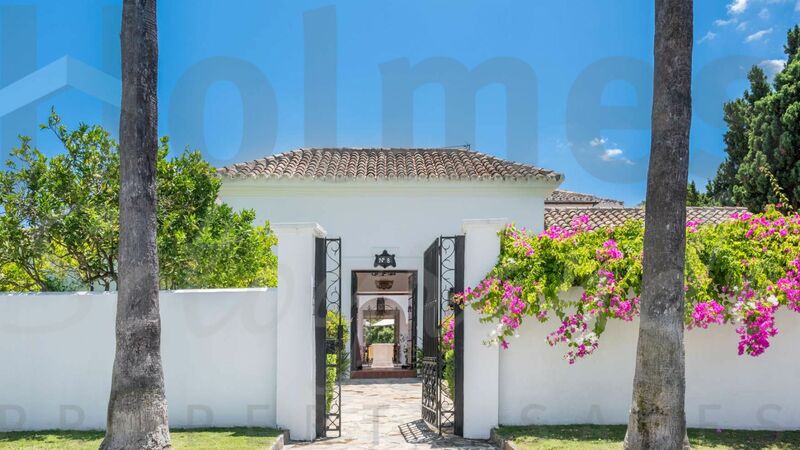 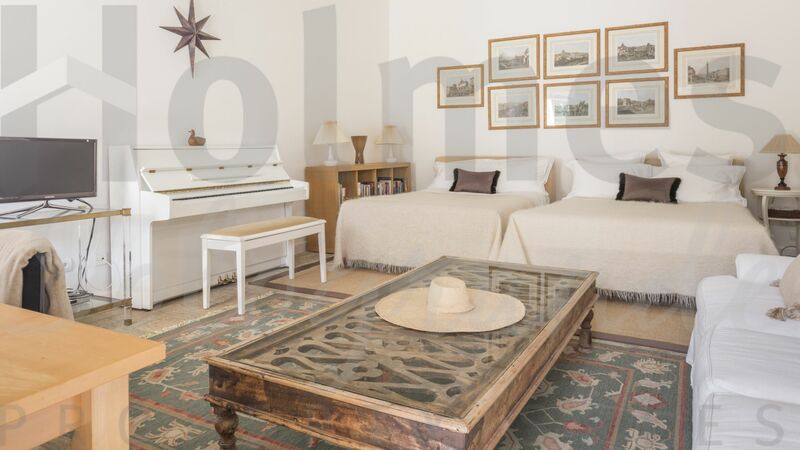 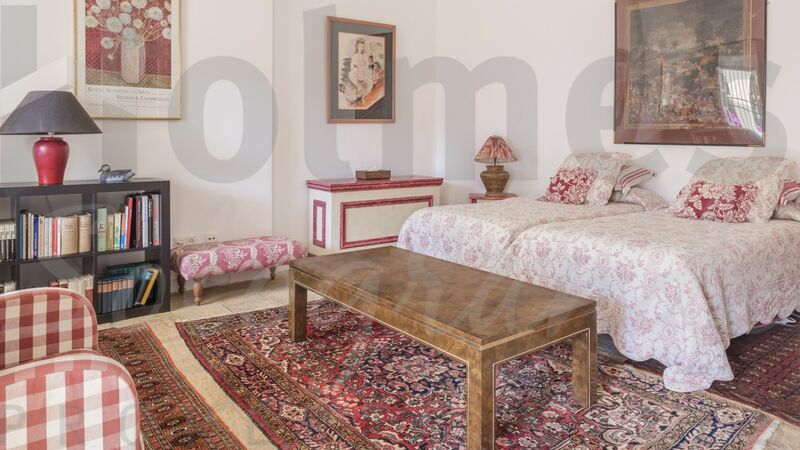 Located in one of the most emblematic streets of Sotogrande near the beach with sea views and a lot of potential to be reformed. 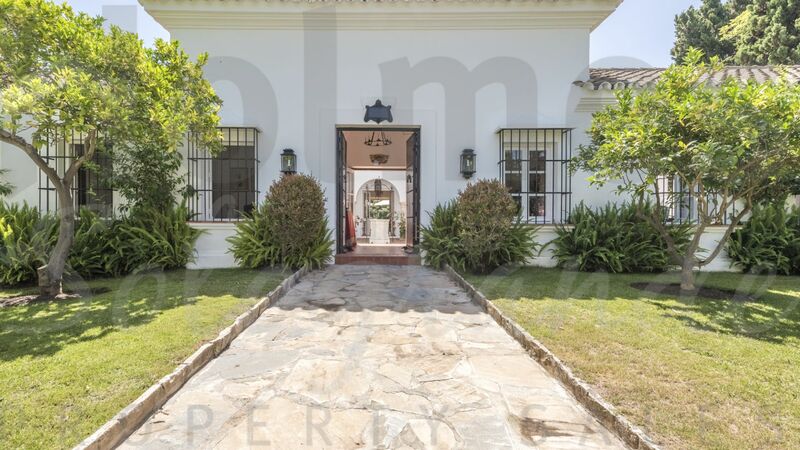 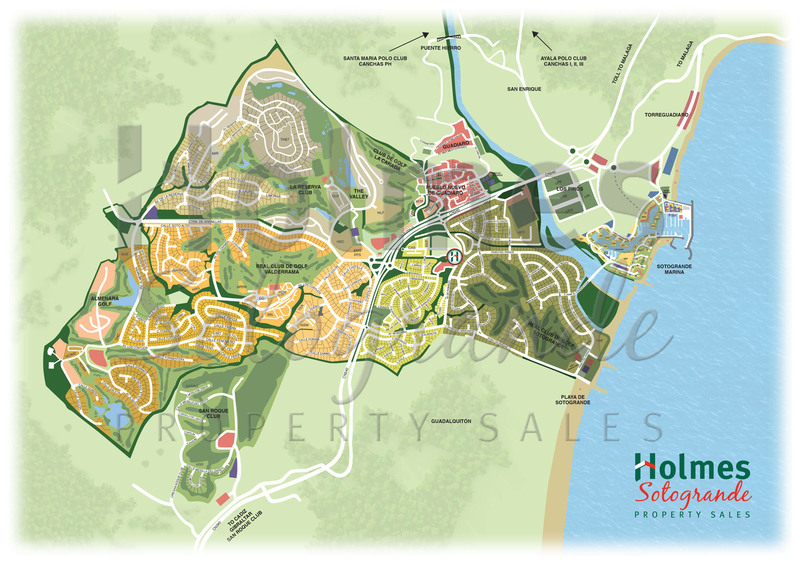 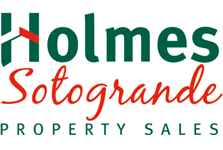 Please send me more information about ref HSS2-1197, Villa in Reyes y Reinas, Sotogrande or similar properties.